The Wauquiez range of Pilot Saloon cruising yachts has been thoroughly invested in and developed over the past 3 years, firstly with the launch of the Wauquiez Pilot Saloon 48, her immediate success was then followed up with the launch of the flag ship Wauquiez Pilot Saloon 58. The new Wauquiez Pilot Saloon 42, which is having her world launch at Dusseldorf Boat Show (January 2018) will be the smallest of the current Wauquiez range, and she promises to be another resounding success. Wauquiez have been building incredible Pilot Saloon cruising yachts since the early 1990’s and have the (secret) formula to continue the success for many years to come. Those of you who know Wauquiez boats will be aware of the extremely popular Wauquiez Pilot Saloon 40 model which was in production between 2000 – 2005, during that time 120 boats were built. Many of which completed vast offshore passages and circumnavigations, underlining the excellent pedigree of Wauquiez Pilot Saloon cruising yachts. For further information on the new Wauquiez Pilot Saloon 42 or any of our Wauquiez Yachts for sale please contact Parkstone Bay Yachts. 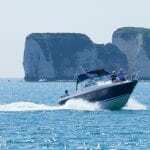 Parkstone Bay Yachts are independent yacht brokers based in Poole, Dorset. We are the sole UK agents for Contest Yachts, RM Yachts, Nordship Yachts and Wauquiez Yachts. 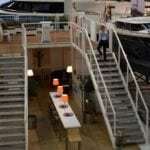 Europe's largest boat show...Boot Dusseldorf is back.